Olive Rudd (vocals); Bob Wade (trumpet/flugel/clarinet); Jim McBriarty (clarinet/tenor); Neville Hartley (trombone); Colin Haikney (piano); Alan Rudd (bass); Tommy Graham (drums) + Gordon Solomon (trombone). 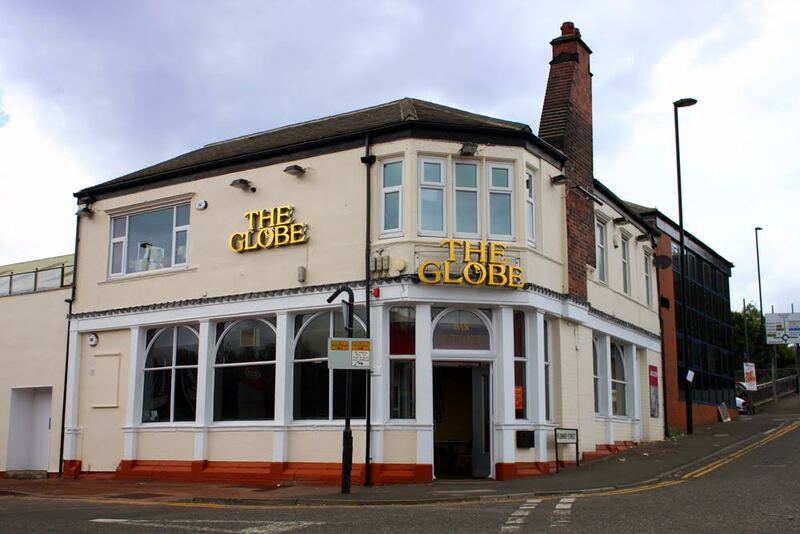 The Metro reached Monkseaton without mishap enabling us to reach The Ship - built in 1688 - just in time for Classic Swing to kick off their regular Tuesday lunchtime session. Vocalist Olive gave me an effusive greeting saying, "I must have known you were coming as I've included I Wished on the Moon in the setlist." Full marks for remembering that this is one of my favourite tunes. 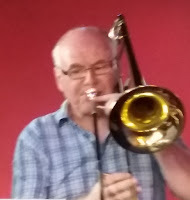 Good to hear Neville Hartley and, second set, Gordon Solomon on trombone. Their duo choruses brought to mind J and K. The not so good news was that regular trombonist Don Fairley couldn't make it due to ill health. 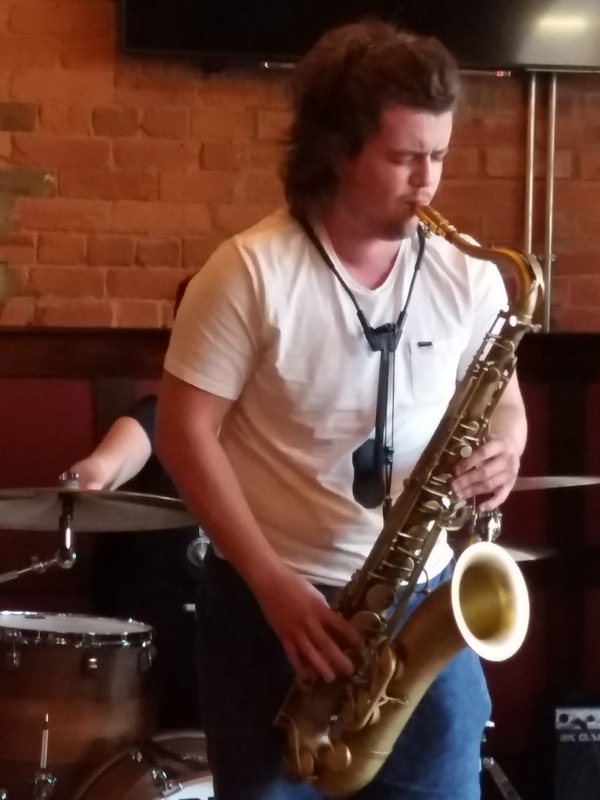 The third visit by Jazz North East to the Jazz Café in a week! 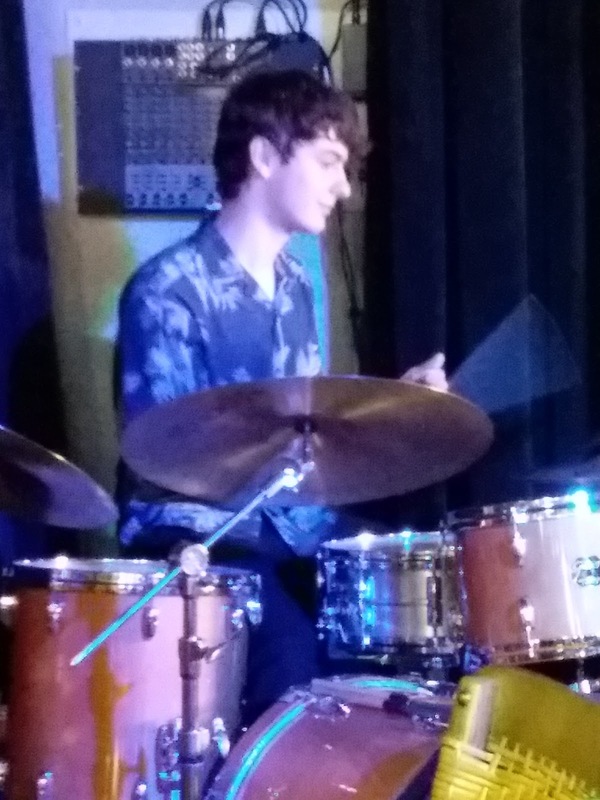 Following on from Jesse Bannister/GemArts (co-promo with JNE) last Thursday and a wonderful treat it was, and Greg Abate with the local power trio last Friday (high octane playing all-round) this Friday saw a more relaxed session as part of Jazz North East's 'Women Make Music' series. The programme comprised two sets of distinctive music focusing on vocalist-guitarist collaborations, one well established in recent years and the other recently formed, with many tunes self-penned and performed by our locally based musicians. 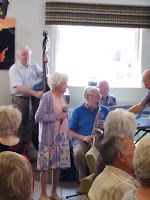 A typical Monday afternoon down at the Crescent Club - the Jazz in the Afternoon band plus a few sitters-in. This week, all the way from Oz, Don Armstrong and Harry Stephenson, and, from just around the corner, the Cullercoats Songstress herself, Teresa (no relation to Don) Armstrong. When You and I Were Young, Maggie then Sonny Terry and Brownie McGhee's Livin' with the Blues, a regulation start from frontman Herbie Hudson and the boys. More from Hudson the vocalist singing about My Gal Sal, one from the band's other singer, drummer Fred Thompson - I'm Confessin' (That I Love You) - and in no time the first set outer - Back Home in Indiana - with Hudson once more taking the vocal mic alongside the seated Don Armstrong on clarinet. 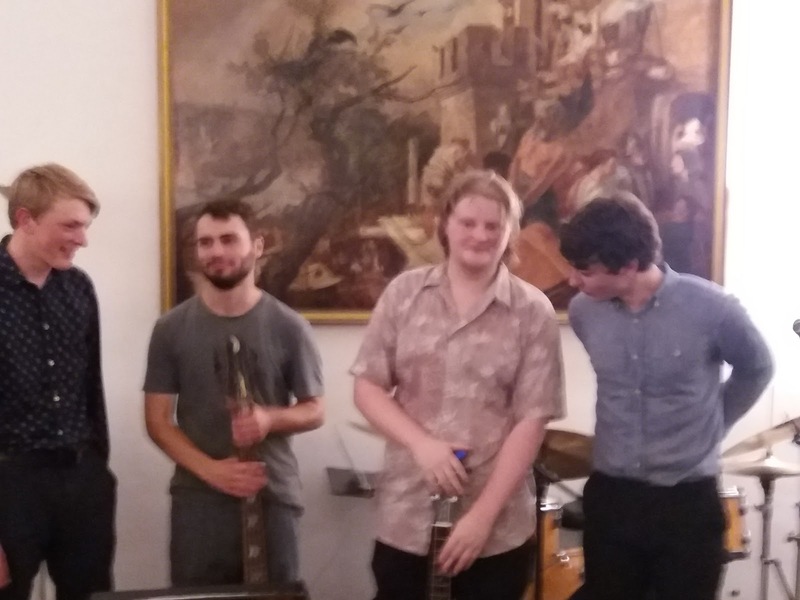 George Winstone (alto sax/composer); Charlie Stacey (piano); Mikeli Montolli (bass); Jamie Murray (drums). In an idiom where identity has almost become set in stone (or should that be vinyl? 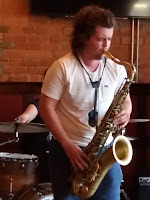 ), it comes as somewhat of a surprise to find someone whose style isn't Parker or Pepper, Coleman or Cannonball, Desmond or Dolphy but a player who has incorporated many of those latterday saints into his approach whilst still forging his own identity. 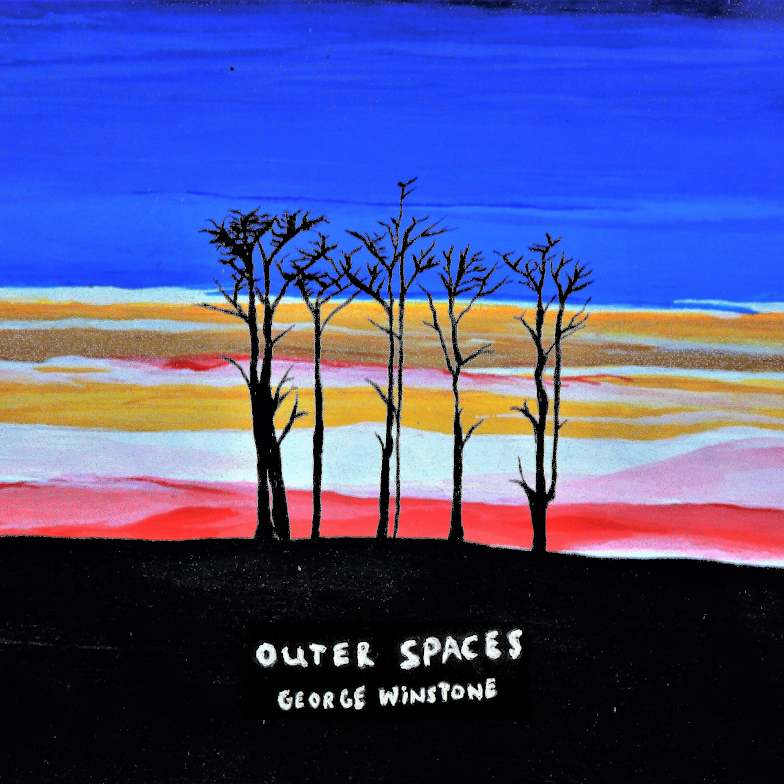 Winstone has managed this. This, however, is a two-edged sword. 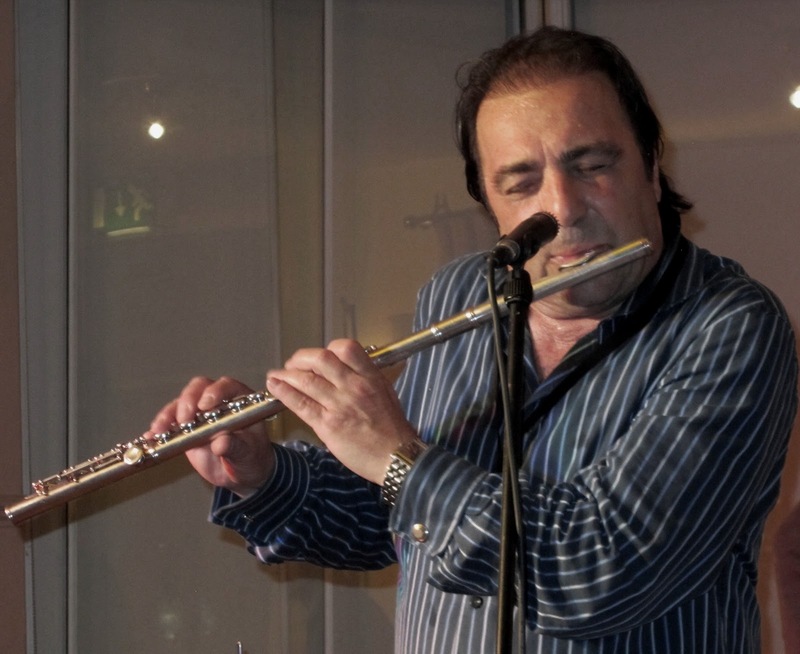 Polish jazz trumpet player, Tomasz Stanko passed away today. 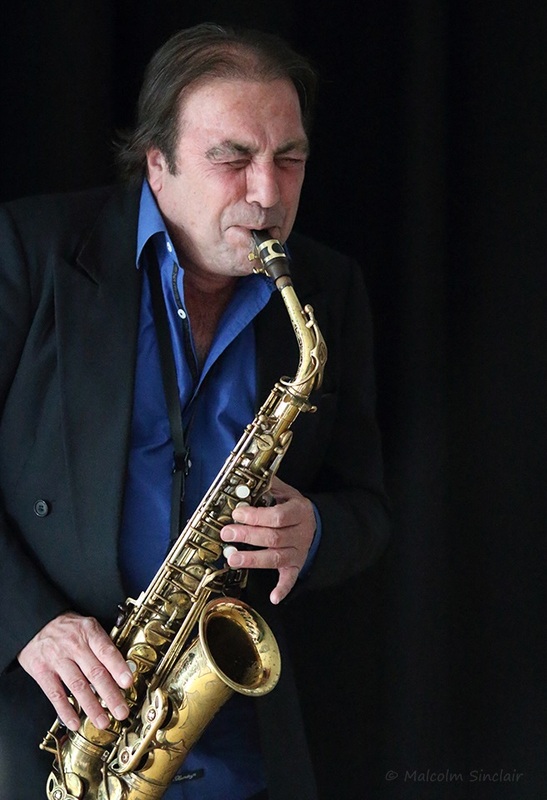 Stanko appeared several times at GIJF as well as the London Jazz Festival and, invariably attracted a large audience of fans who appreciated his free, avant-garde style playing. 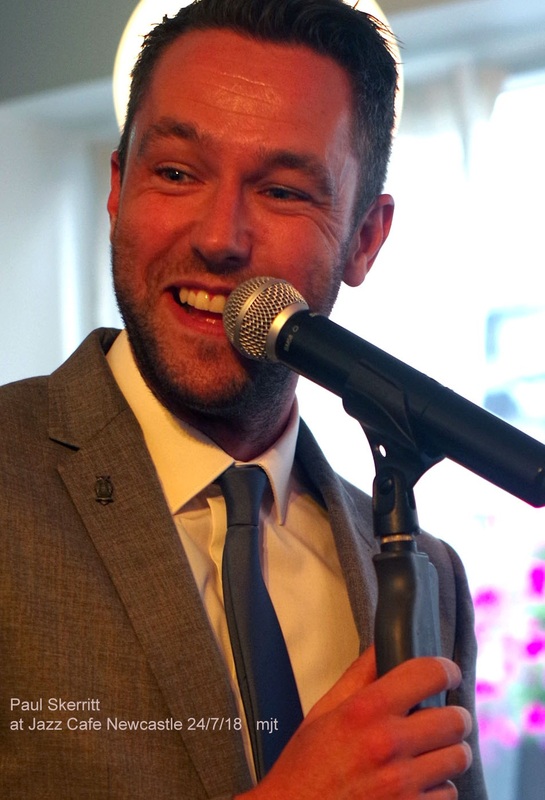 Prohibition Bar's lovingly crafted homage to an era of US bootleg liquor, European decadence and good times came into its own this evening with an appearance by the Andy Lawrenson Trio. 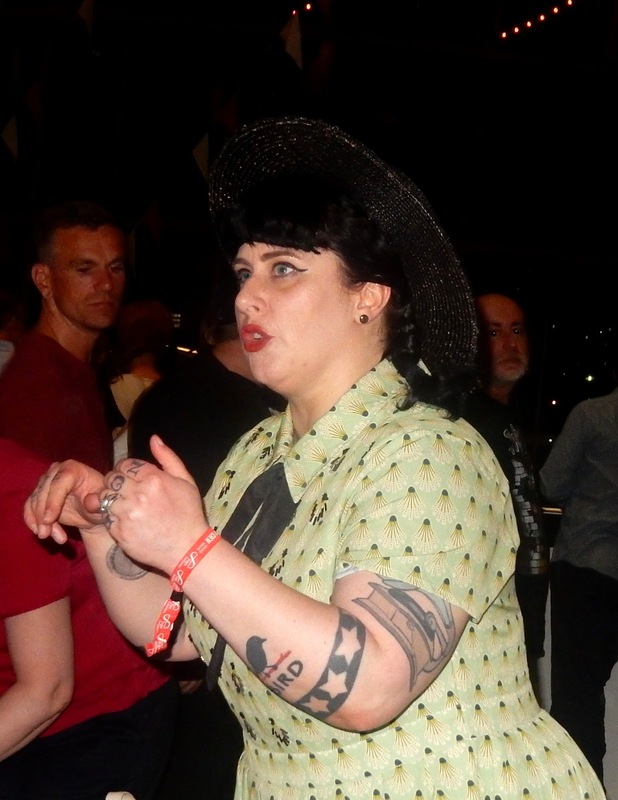 A select audience listened intently as a swing dance couple - Anja and Alec - effortlessly evoked the period. 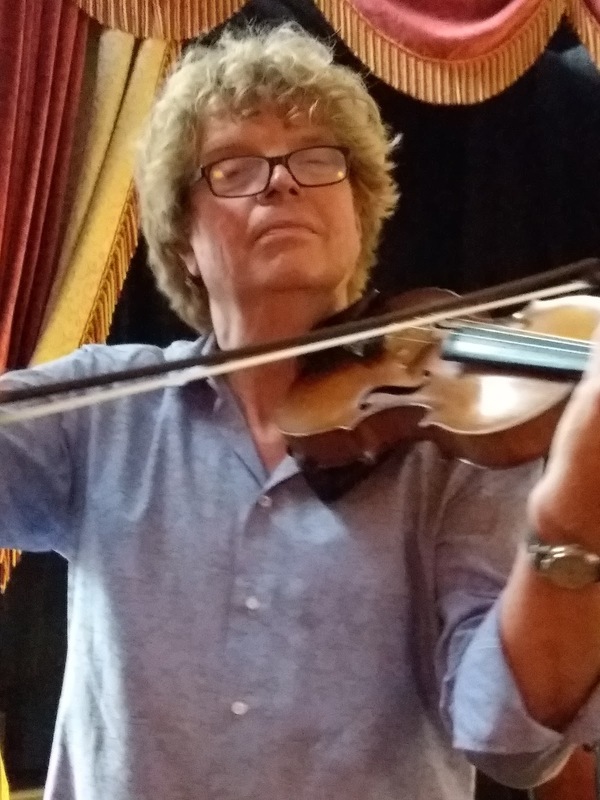 Le Cafe Parisien is violinist Lawrenson's latest project encompassing the jazz of Reinhardt and Grappelli with Celtic and Romani influences alongside one of the great improvisers of this or any era...JS Bach. 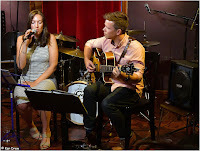 Minor Swing established the mood and Lawrenson's first vocal of the evening - It had to be You - suggested the trio's approach would be one of casual virtuosity. This lunchtime concert was a late addition to the published series. Would this fact impact on audience numbers? It did, for the better, with a huge turn out leaving some later comers standing for the duration. 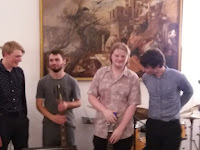 Four young men - three of them enjoying a break from their degree studies, the other soon to go to university - playing to an astonishingly high standard, this was the Francis Tulip Quartet. Visions opened the programme. 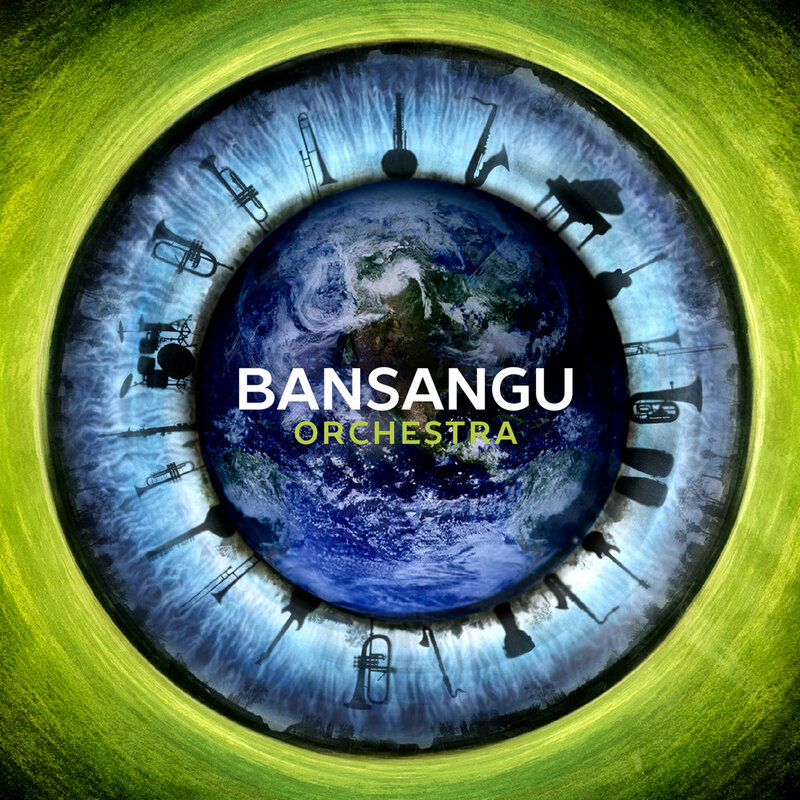 Sounding vaguely familiar, it was, of course, a composition by bandleader Tulip. 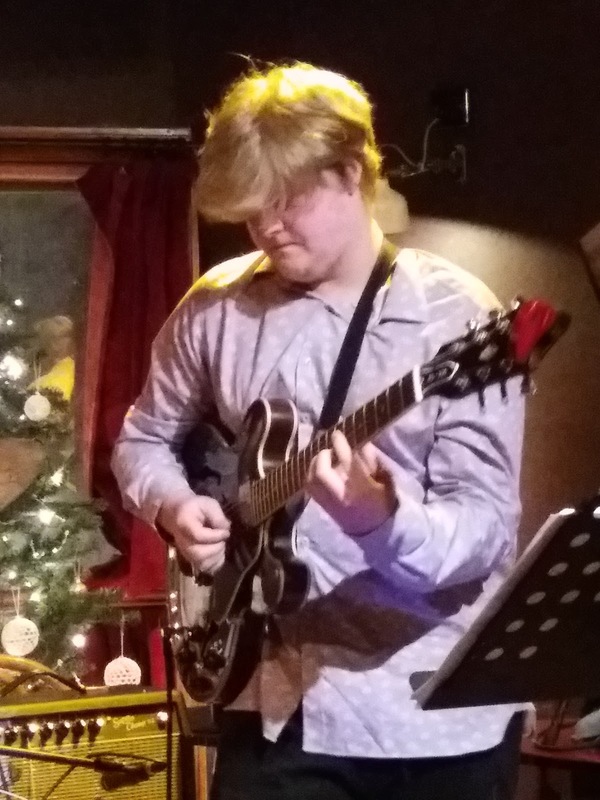 Keep Me in Mind was very familiar, it being a John Scofield number. 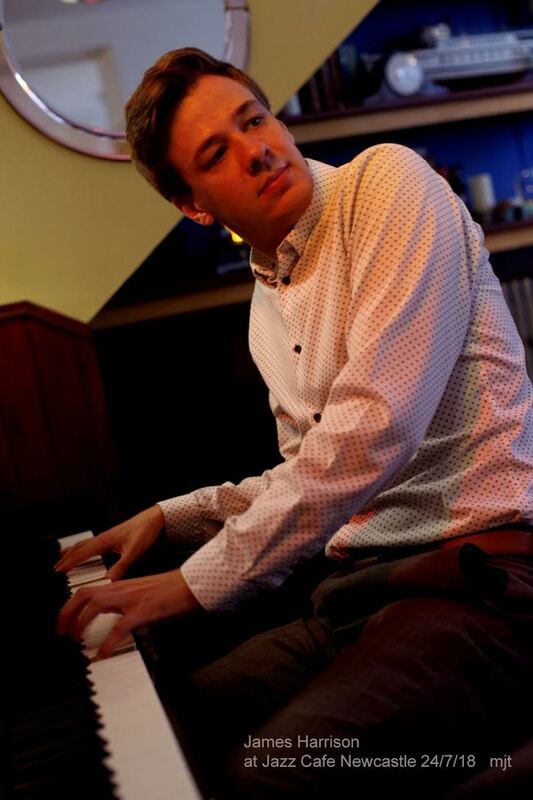 The youngest member of the quartet, pianist Ben Lawrence, showed what he could do at the Lit and Phil's beautiful piano. 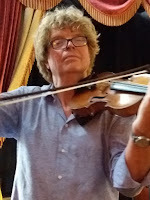 With the boss absent the temptation was there to get up to mischief, however, MD Michael Lamb can rest easy, on a steamy early evening the boys and girls of the orchestra got down to business, as usual. Keeping an eye on matters, and an ear to the ground, was a very special guest...Kermit the Frog. 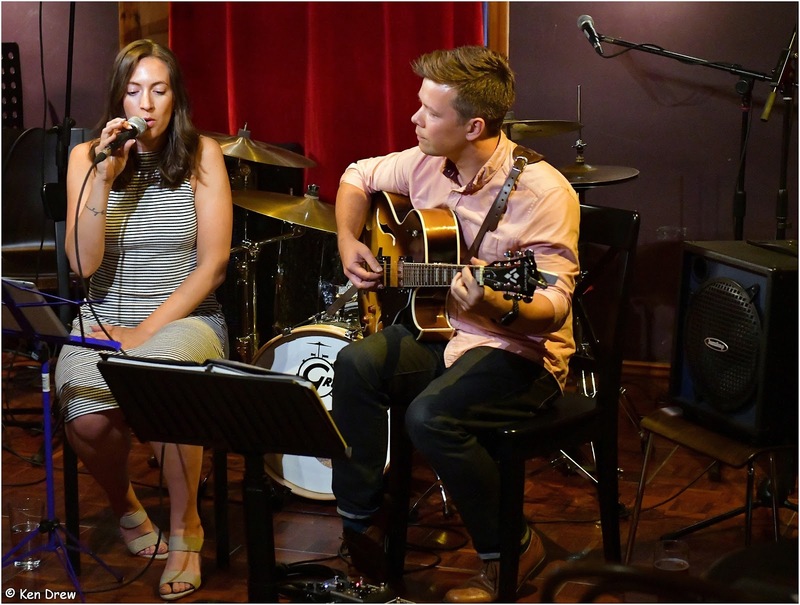 F'reez got the show on the road with Let the Good Times Roll and it wasn't too long before his vocal partner-in-crime Alice Grace joined the party, greeting a full house at the Millstone with the words: Happy heatwave! With Pete Tanton's muted trumpet work AG scatted on Honeysuckle Rose. If there was an admission charge to this regular public rehearsal session - there isn't - it would be worth every penny simply to hear AG sing. And sing again did the Strictly Smokin' vocalist as she insisted, with no little humour, Somebody Loves Me. The Desert Queen, a play by David Farn @ Washington Arts Centre - July 26. 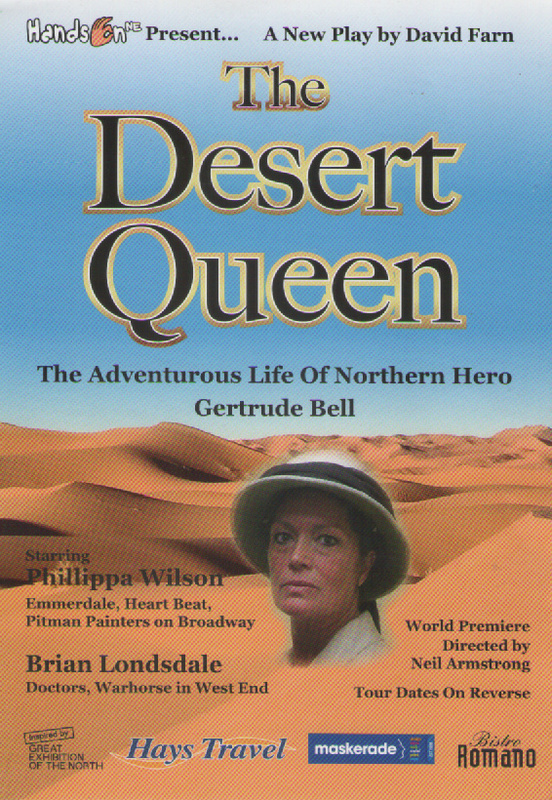 Phillippa Wilson (Gertrude Bell); Brian Londsdale (various roles). 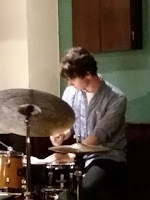 I know, I know, not exactly material for a jazz blog but, the pace of the story, the injections of humour and pathos, have all the ingredients of an Ellington suite. Amazingly, I'd never heard of Gertrude Bell until, maybe, 10 years ago. At school, we learned of such fearless females as Florence Nightingale and Grace Darling but, despite being born about 5 miles away in Washington, Co. Durham, ne'er a word about Gertrude Bell - arguably, one of the most influential women ever. Tonight's play by David Farn, attempts to redress the balance and I'm sure that anyone who witnesses the show - there's another 9 performances in the region between now and August 6 - will come away fascinated by her story. 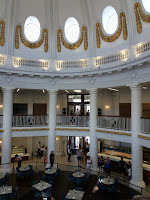 Late July, schools out, students gone, would anyone turn up? On another warm evening with the door to the conservatory open the house rhythm section - Stu Collingwood, Paul Grainger and Abbie Finn - set up then set sail on a relaxed Wave. 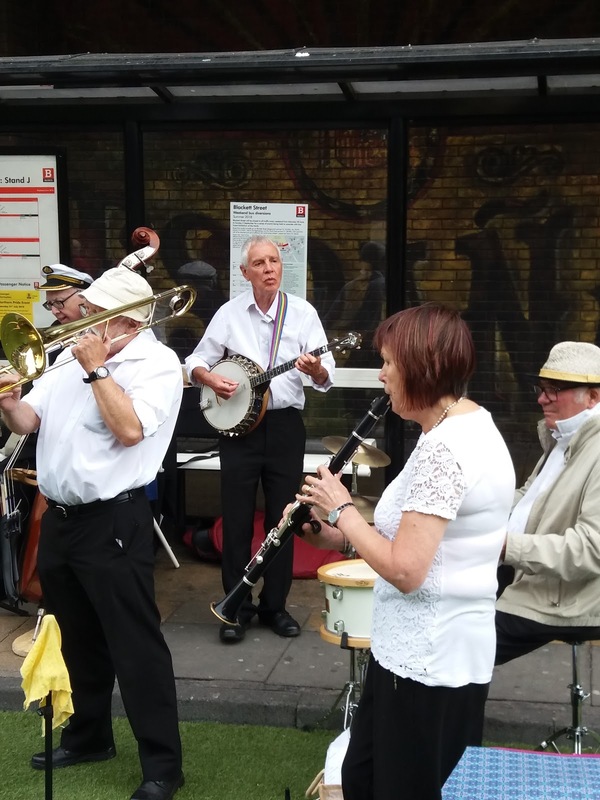 The sitters-in began to arrive in Brandling Park, some by car, some by Metro, some on foot and that most laid back of tenor players, John Rowland, parked his velocipede outside of the Dun Cow. 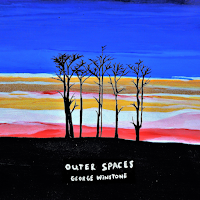 Chet Baker (trumpet/vocals); John Horler (piano); Jim Richardson (bass); Tony Mann (drums). March/April 1983, London. I think it was in November 1955 that Jeff Kruger, who ran the Flamingo Club on Wardour St., presented Chet Baker in concert at the Royal Albert Hall - as a singer. 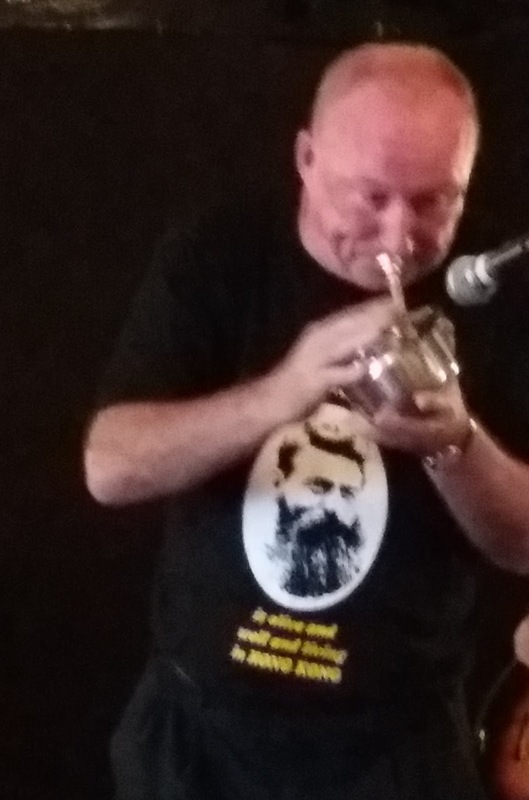 At the time, Baker was the trumpet player. He was touring Europe and, like all trumpet players from Satchmo to Dizzy, only sang to give his chops a rest but, because of MU restrictions on foreign musicians entering the UK, he was forbidden to play trumpet. From what I recall from the reviews back then, his singing wasn't well received. 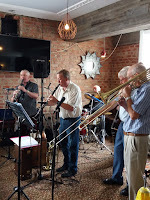 On the jazz front, it was Jimmy Rushing, Joe Williams and George Melly who figured in the polls - none of them shrinking violets - whilst the pop charts in those pre-rock 'n' roll years were dominated by the shouters such as Frankie Laine and Johnny Ray. Even Sinatra hadn't quite recaptured the public as a singer so the fragrant will o' the wisp vocals of Chet were given short shrift. Little did those critics know that, years later, the voice would be ranked alongside the all-time greats. 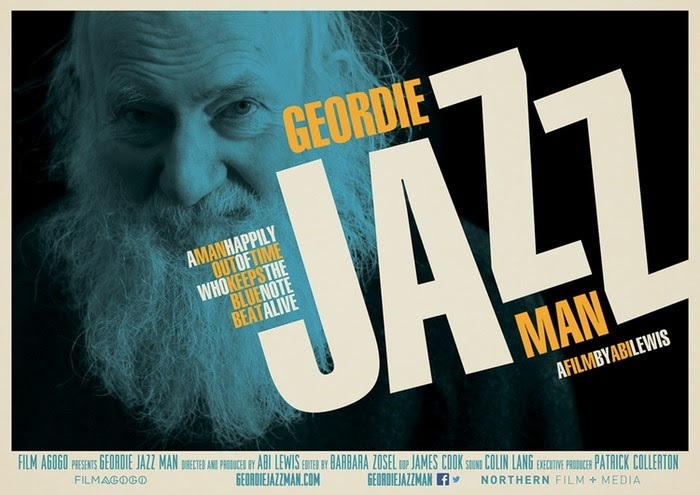 Just received the sad news that one of the northeast's jazz legends passed away on Monday, July 23. Clive Gray was renowned not only for his fine banjo playing but also his sense of humour. When I worked in J.G. Windows Music Store alongside his longtime musical confederate, Ronnie McLean, Clive was a regular customer buying Clarion banjo strings. He was the only person I knew who used Clarion Strings and we had to order them in specially for him. I once asked him what it was about them that made them so special. Longevity, tonal quality, resonance? "Coz they're the cheapest" was his reply. 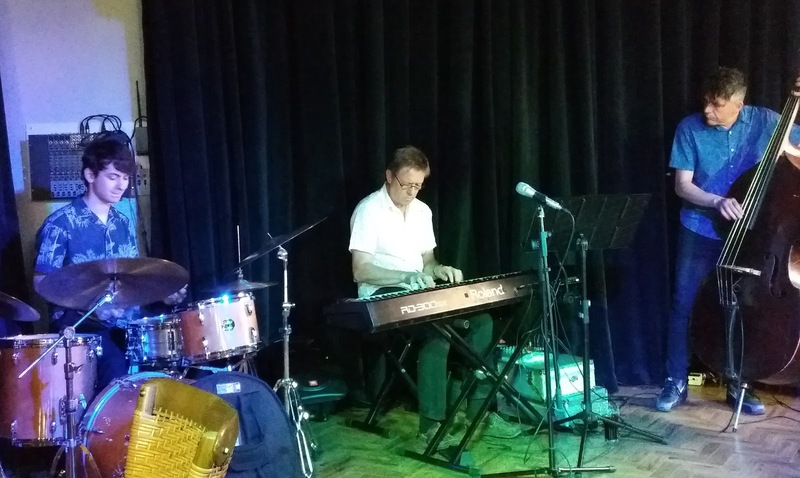 He played in most of the local trad bands at one time or another including the Vieux Carré Jazzmen, Ronnie McLean All-Stars, and the Savannah Syncopators. 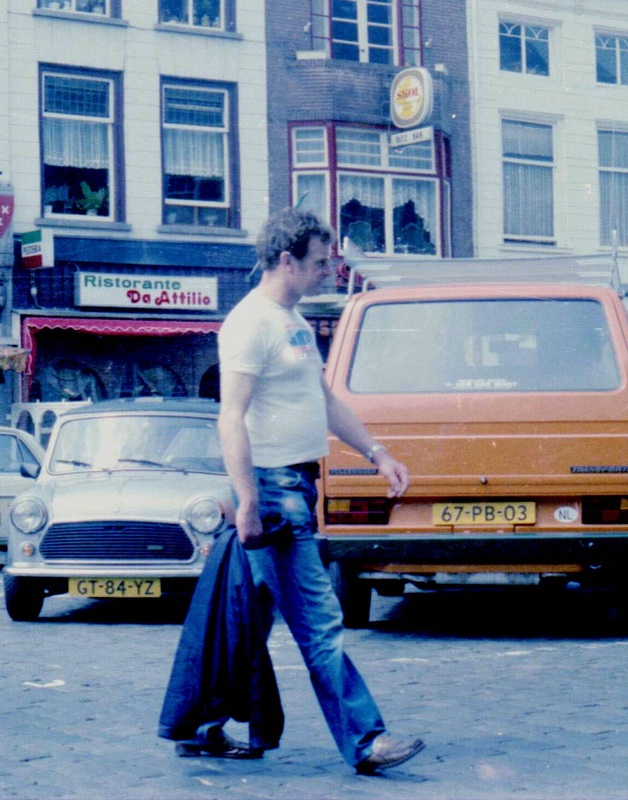 In the photo, Clive is pictured in between concerts at the 1981 Breda Oude Stijl Jazz Festival. Bob Wade (trumpet, flugelhorn); Jim McBriarty (tenor sax, clarinet, vocals); Don Fairley (trombone); Colin Haikney (piano); Alan Rudd (double bass); Tommy Graham (drums), Olive Rudd (vocals). If it's Tuesday it must be the Ship Inn. 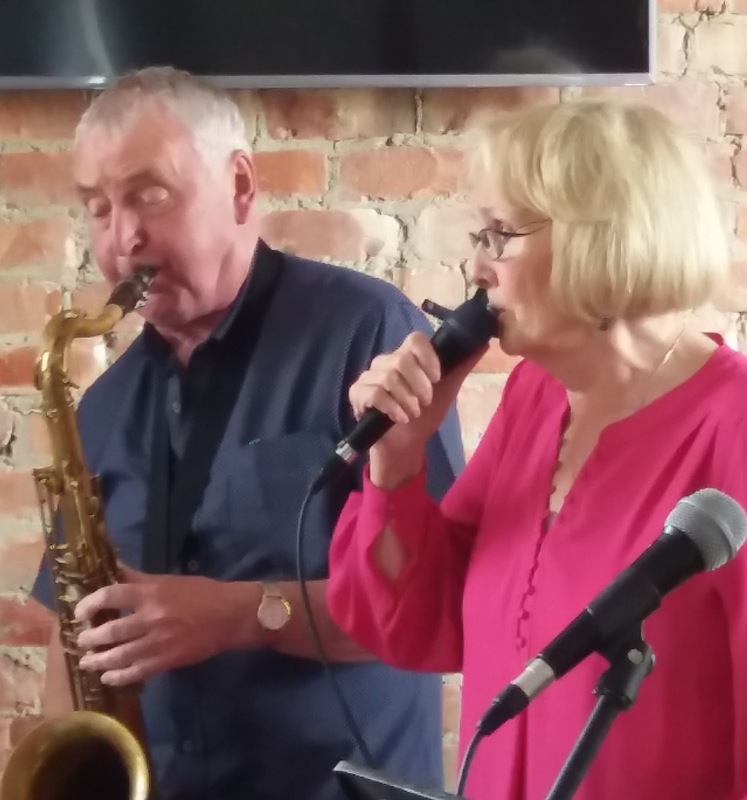 Classic Swing's weekly Monkseaton residency continues to attract a good number of folk to listen to the New Orleans to swing era band fronted by vocalist Olive Rudd alongside explosive trumpeter Bob Wade. It Don't Mean a Thing sang Olive and the boys in the band - including Mr Alan Rudd - tended to agree. Out of Nowhere with Wade playing flugelhorn is a favourite of band and audience featuring relaxed solos across the frontline. 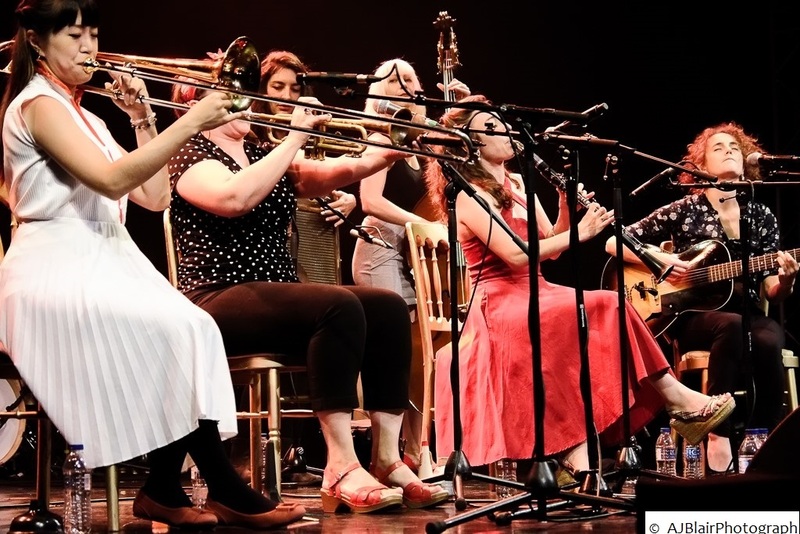 Having heard the Shake Em Up Jazz Band well and truly shake things up in New Orleans last year, Ali Affleck wanted us all to share in her delight, and here they were and so we did. 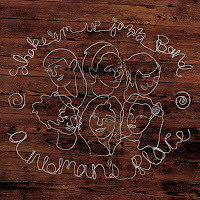 Formed two years ago, the Shake Em Up Jazz band brings together six individually gifted musicians each acclaimed musicians in their own right, and members of various established bands.Their set in tonight’s performance featured tracks from their first album ‘Le Donne Mangiano Zucchero’ along with many from their new album ‘A Woman’s Place’ (see Lance's review), put together to celebrate and pay tribute to women composers and lyricists, and their legacy of arranging, composing and developing jazz since its earliest days. After a delay, it's up and running. 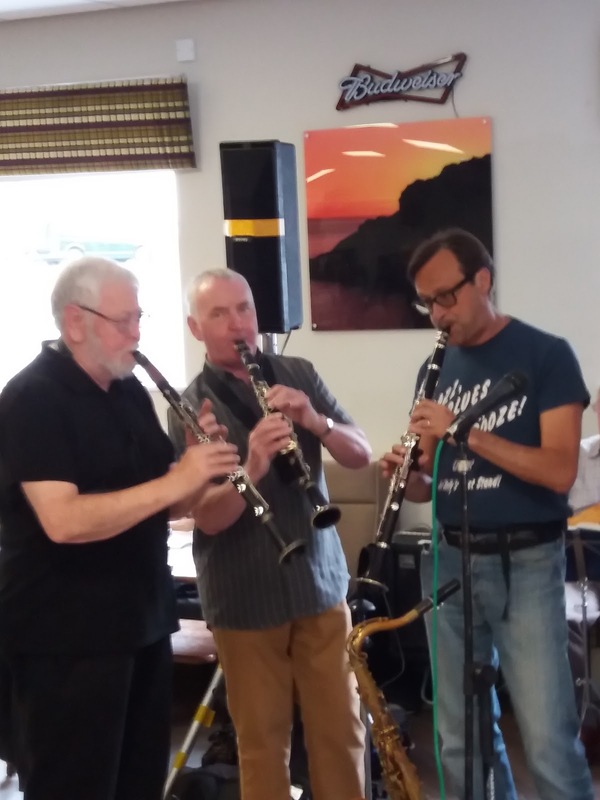 The scheduled opening of Charts on the Quayside was put back a week or two and when it finally opened its doors the first of a new weekly (Sunday) jam session - Jazz Social - took place last week. 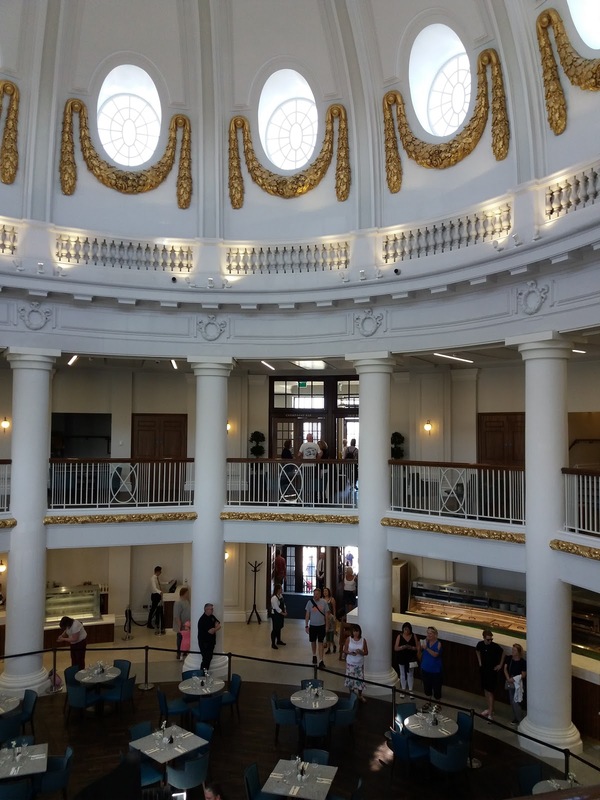 Yesterday, BSH managed to get along to the second installment and it has to be said the former Flynn's public house has been transformed into a comfortable, if not swanky, cafe/bar boasting panoramic views across the Tyne to Sage Gateshead. 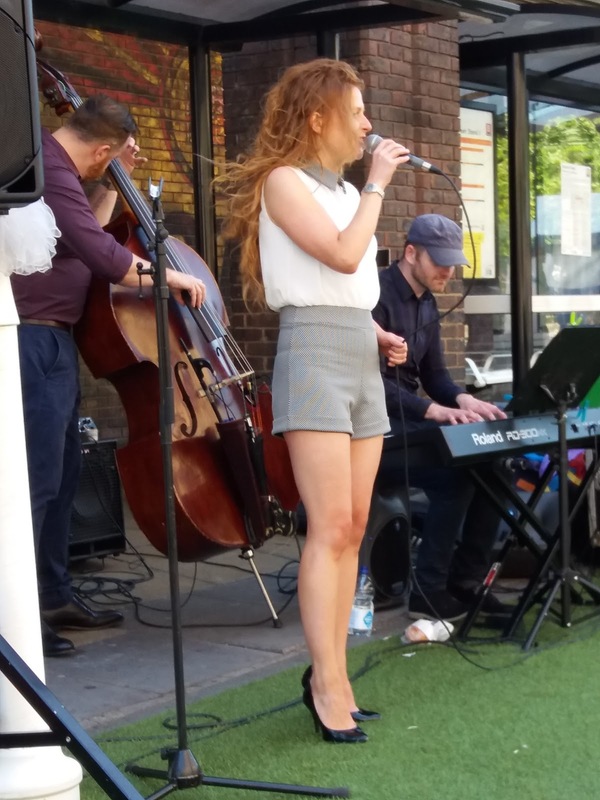 A second day of jazz in the rather bizarre surroundings of a traffic free, artificial grass-carpeted playground on Blackett Street featured Zoe Gilby singing a selection of standards and original material. BSH made a dash by Metro from Whitley Bay to Monument in Newcastle city centre to catch a third and final set on Sunday afternoon. The situation's out of control. I've now got more unopened, unlistened to CDs than I could ever hope to review and I don't know what to do with them (up yours too!) I doubt if any of my local charity shops will find a demand for 273 albums of original compositions by someone they've never heard of so, artists, agents, hustlers, please do not bombard me with unsolicited CDs without emailing for permission first and, if I don't reply, it's not bad manners - well it is I suppose and I apologise - but take it for a no-no. Also, please forget about downloads. If someone has forked out postage to send me their baby then it has a small chance, not a big one but at least a chance. 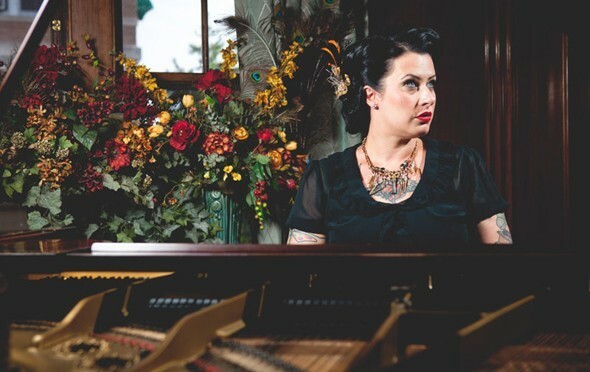 Davina Lozier (piano, vocals); Zach Lozier (trumpet, vocals); Steve Rogness (trombone, vocals); Chris Bates (upright bass); Andrew 'Dizzy' Gillespie (drums). This has been quite a few days for festivals and high profile gigs. Durham Brass, Mouth of the Tyne, Tall Ships and now SummerTyne Americana at Sage Gateshead. 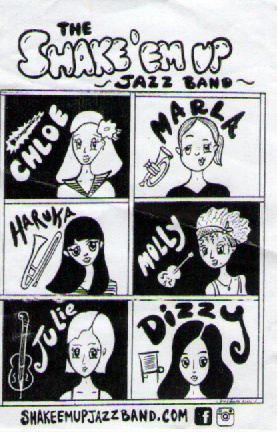 None of them were out and out jazz festivals but all contained jazz, or jazz-related music, in one form or another. 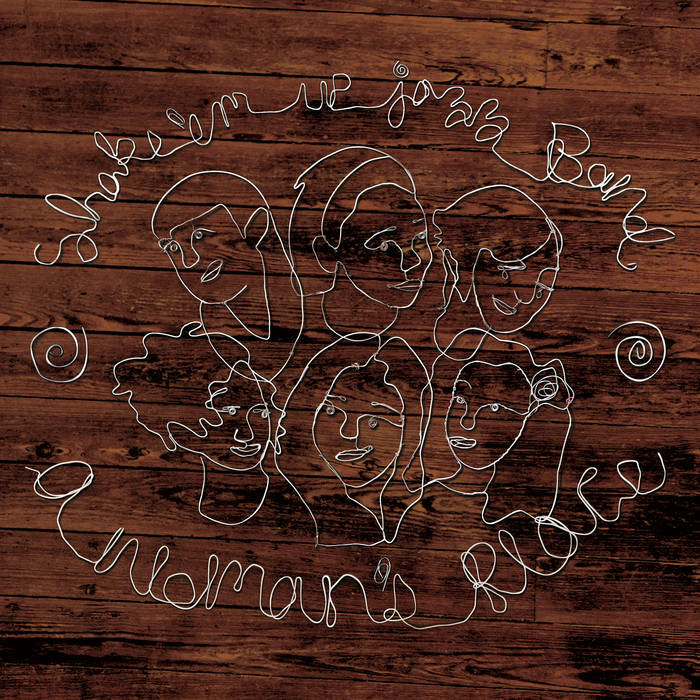 In the case of the latter clambake, Nashville was the hub rather than New Orleans or New York although D and the Vs were from Minnesota and the North Star State should be mighty proud of 'em. 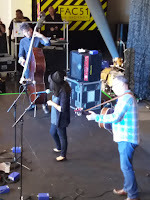 There was little sign of a break in the prolonged spell of fine weather and upon arriving at Durham's Gala Theatre Greg Abate and Paul Edis were sitting on the terrace putting together a set list for their lunchtime gig. 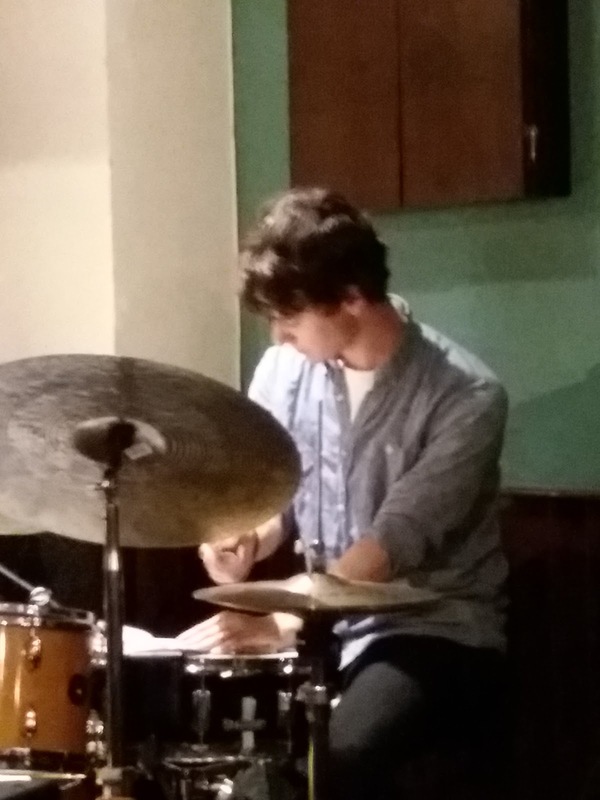 Invariably the venue's monthly jazz concert is a sellout and today's performance didn't depart from the script. Thumbs up to the Edinburgh-Newcastle rail service. It was on time - why shouldn't it be? 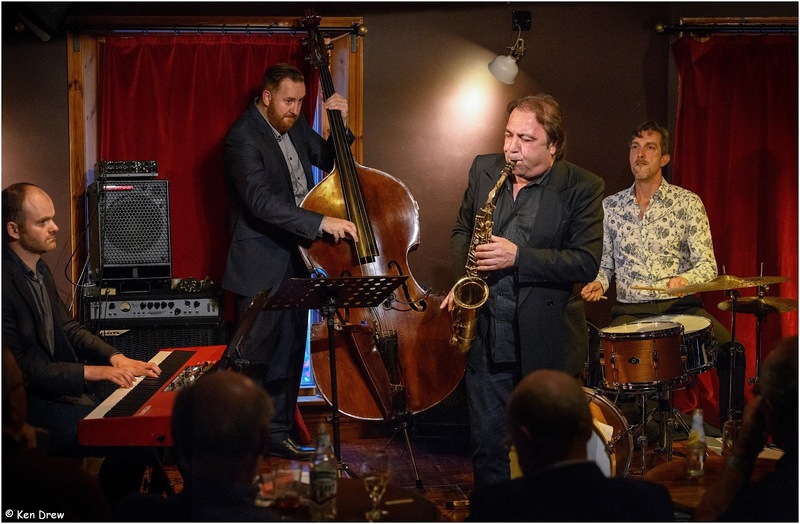 - thus enabling your correspondent to dash up to Hexham to catch the Francis Tulip Quartet's return visit to Hexham Jazz Club. The Fox Inn was busy. 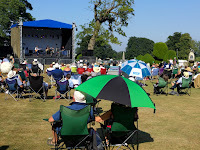 Francis Tulip & co were sitting outside making the most of the summer weather before the start of their first set at eight thirty. A Deuchar's the choice, 'hello' to Tom, Ines and Jamie, a seat, 'hello' to Mike and Pauline - they had come from all parts. This has got to be the best brass bargain bar none and it's FREE! - Lance. 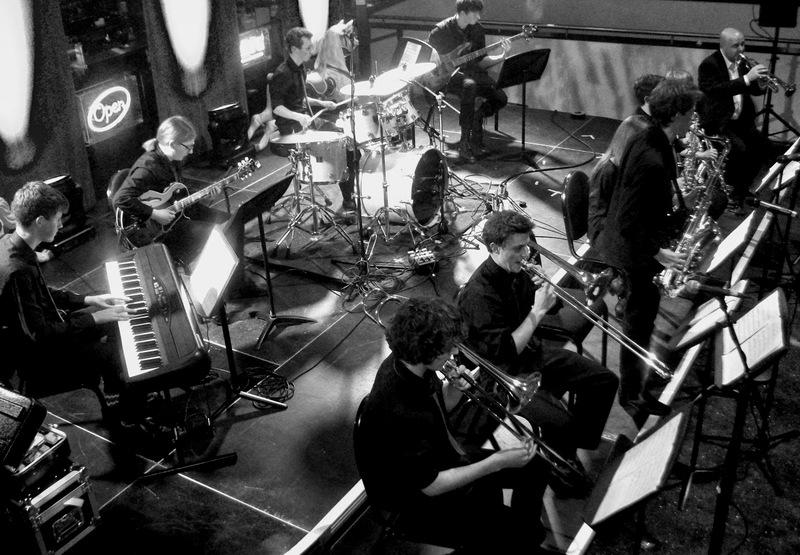 Based at the Sage in Gateshead and directed by Paul Edis, Jambone is a youth jazz ensemble. Performing in high profile concerts and events with some of the great jazz artists. 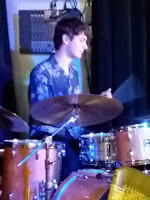 Packed full of talented young musicians, in recent years members of the band have taken part in the BBC Young Jazz Musicians of the Year and have featured as part of the BBC Introducing Scheme with a performance on Radio 3. 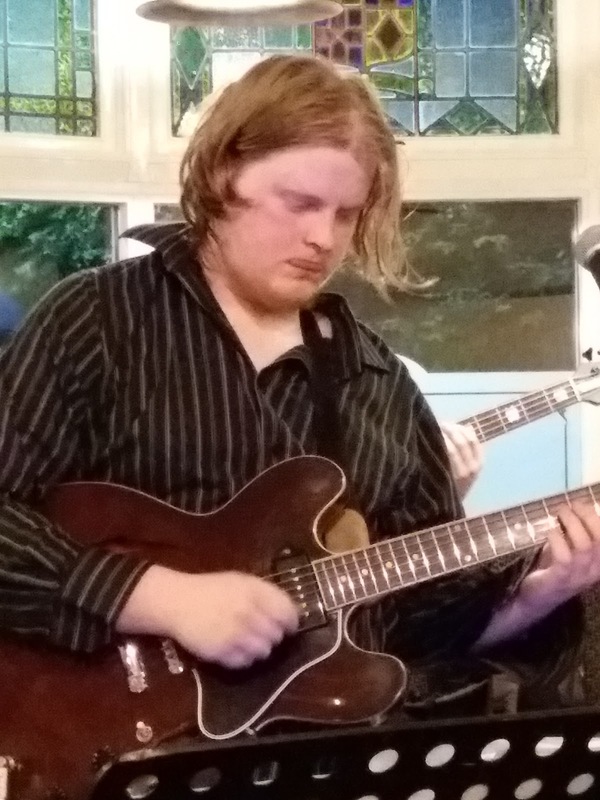 Jambone makes regular performances at festivals including the Gateshead International Jazz Festival, London Jazz Festival, Manchester Jazz Festival and Skye Jazz and Swing Festival and at the Parliamentary Jazz Awards. 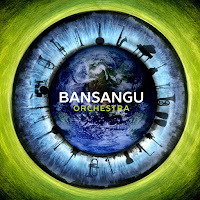 It was back in 2014 that ace tenor player Paul Booth got together with Giorgio Serci and Kevin Robinson to formulate the idea of a traditional big band playing music from a diverse range of cultures such as African, Brazillian, Caribbean, Celtic, Cuban, Indian and Middle Eastern. This they do without losing the overall jazz feeling but, at the same time, adding a different dimension. 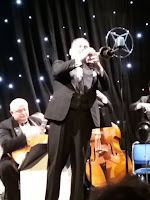 Durham Brass Festival: James Morrison Quartet @ Gala Theatre - January 16. James Morrison (trumpet/trombone/flugel/piano); William Morrison (guitar); Harry Morrison (bass); Patrick Danao (drums). 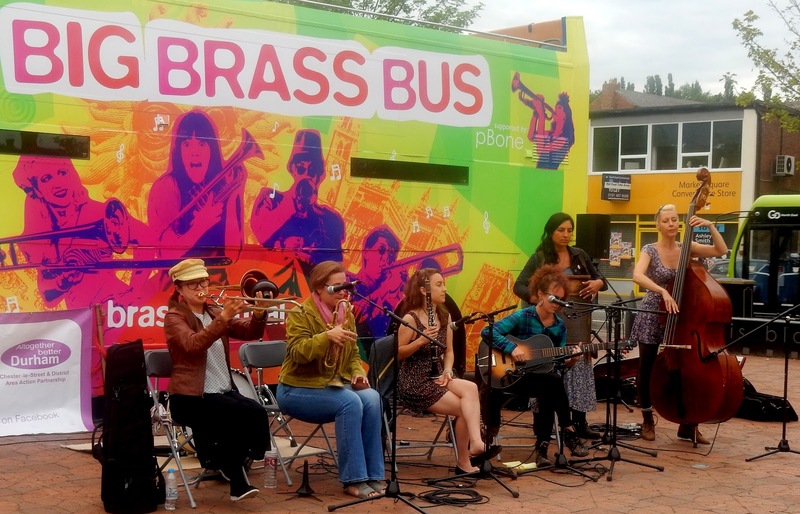 Another knockout Durham Brass Festival concert. This time by the amazingly gifted Australian multi-instrumentalist James Morrison. Morrison, accompanied by sons William and Harry along with super drummer Danao blew trumpet à la Dizzy, trombone with the rapid technique of JJ and, on piano, just about outran Peterson. A Beautiful Friendship began soft and gentle, treating the ballad with the respect it deserves. A nice solo from his number 2 son William on guitar before James exploded reaching Dizzy heights and beyond. We also got a taster of Danao's drums. In the Silence of the Night, a composition by William featured his pop on a most unusual instrument. Difficult to make out from where I was sitting. It could be a rotary valved flugelhorn or some kind of bass trumpet. 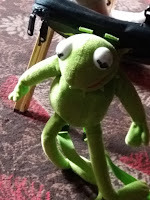 It had the mellifluous sound of a flugel but maybe it was a hybrid James himself had designed.